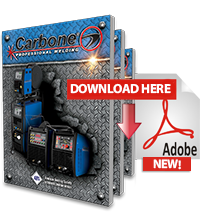 Carbone Panamá presents its line of motor welding machines, you will not find with a line more features than ours. Easy to use with an intuitive design, are easy to operate and easy to maintain, with 180 amp output provides true electrode 4.0 mm (5/32 “) melting. Includes cooling fan with thermostatic protection. With Hot Start, starts with a high amperage self-regulated to improve arc ignition and self-regulated control of arc force. 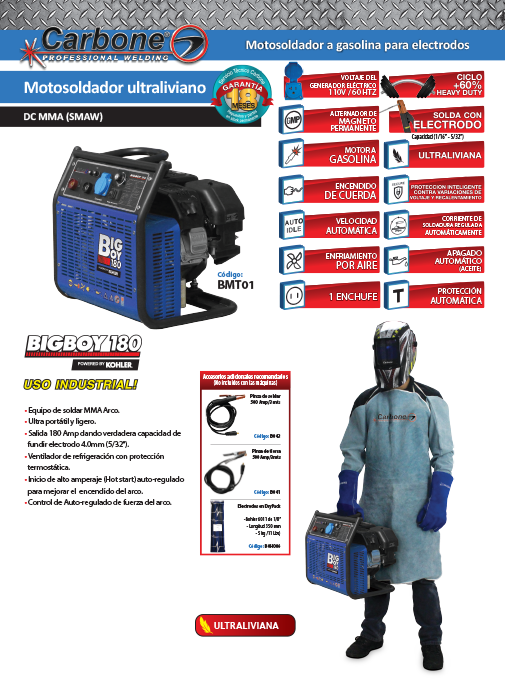 Companies Carbone in Panama present our new line of welding machines, our equipment catalog motor welding machines where you can meet the widest range of machines. We offer a variety of machines with various regulations and lists features to perform any work that you need.